Single Limit vs. Split Limit Auto Insurance Coverage: Do You Know the Difference? 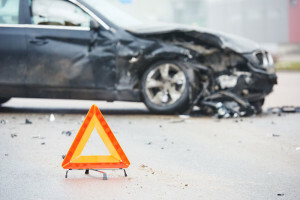 Read this to learn the difference between single limit and split limit auto insurance. When it comes to your auto insurance, you want to know that you’re getting the best coverage possible. There are various policy types that offer different coverage for different budgets. But, if that’s not complicated enough, there are different ways in which your policy limits are determined. Most commonly, there are two categories: single limit or split limit. Check out what you need to know about personal auto insurance limits so that you can pick the best auto insurance for your lifestyle. When it comes to your auto insurance, you expect that your coverage limits apply to any damages or injuries caused by an accident. However, this is only true if you have single limit coverage. A single limit policy gives you the full coverage limit to apply towards any damages. It offers more flexibility to use your coverage. A split limit policy gives you auto insurance coverage. However, keep in mind that there are limits on how much coverage applies to different types of damages or injuries. This type of policy splits your coverage into separate categories. A certain portion of your policy is allocated to property damage, and another portion is allocated to bodily injury. How much coverage allocated to each type of liability is predetermined and split into separate categories. Rest easy knowing that your auto insurance coverage gives you the coverage limits that you need. Contact the professionals at Robert J. Los Insurance Agency to find you the right insurance. Located in Hamburg, New York, we serve all your personal and commercial insurance needs.